The NC State University/Craven Community College partnership programs will give you the tools to become a successful student and professional engineer. Whether you are a new or transfer student wanting to join the 2+2 Engineering Program or transfer into the MES B.S.E. Program, the information on this page will help you to get started on your career path. To schedule an appointment with an advisor, contact Dr. Bill Fortney at wbfortne@ncsu.edu or 252.444.3357. A plan of study identifies courses required to achieve a particular degree. For example, students joining the 2+2 Engineering Program must learn the requirements for obtaining their engineering degree of choice, including the courses they need to transfer into one of the 18 NC State engineering degree programs, such as the MES B.S.E. degree program. You can explore degree requirements, including 8-semester plans of study, for the engineering degree programs at NC State. If you need assistance, speak with an advisor. General Education Program (GEP) courses expose students to a broad range of knowledge. North Carolina community college students can complete all of their GEP courses at the community college. A worksheet is provided to assist students in choosing community college courses to meet the NC State College of Engineering GEP requirements. You can also use the GEP Course Lists to search for GEP courses offered at NC State. It allows you to search by both category and/or co-requisite (e.g., U.S. Diversity or Global Knowledge). 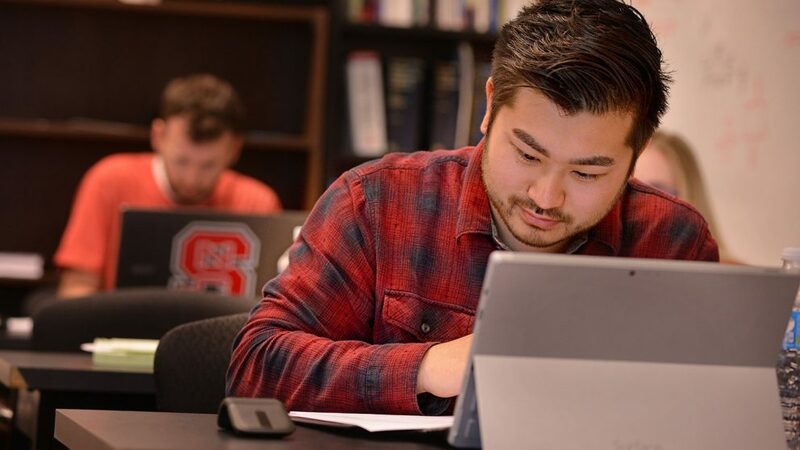 Site-based students looking for NC State distance education GEP courses can search for available courses at NC State’s Online and Distance Education website. If you have taken college courses at another institution, you can evaluate those courses for transfer course credit at NC State. It is important to note that just because NC State will give you credit for a particular course does not mean that it will count towards your intended degree. Speak with an advisor for more information. Students with pre-enrollment credit such as CLEP or AP can learn about recognized tests, accepted scores and credit awarded by NC State. What attracted me to the program was the ability to take NC State courses in Havelock. With my family and financial situation it would have been difficult to move to Raleigh to take classes. Also, there are great employment opportunities at Cherry Point. The Mechanical Engineering Systems B.S.E. Program is a transfer program. 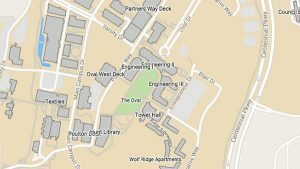 NC State College of Engineering only accepts transfer applications for the fall term. Make sure you are aware of all transfer application deadlines. If you think you are ready to transfer, the following steps will help you through the process. Make sure you meet the NC State College of Engineering’s transfer requirements. Inform Dr. Fortney at wbfortne@ncsu.edu of your intention to transfer into the MSE B.S.E. Program at CCC in Havelock. Complete a transfer application. For the MES BSE Program, select mechanical engineering on the application and inform Dr. Fortney at wbfortne@ncsu.edu when you submit your application. He will take care of letting admissions know you want the Havelock program. Confirm your acceptance after receiving acceptance notification. Contact an MES advisor in Havelock for an advising appointment after you receive your student ID. If you took distance education (DE) or Engineering Online (EOL) classes, make sure to list NC State as another college you attended, but you do not need to request transcripts from NC State. If you check “yes” to any of the background questions, then make sure you supply a complete explanation. Be sure to note the courses you are currently taking the semester you are applying and if you plan to take first session summer courses. Engineering is a great career choice if you’re good at science and math and really want to make a difference. Engineers work to solve problems and create solutions that can truly change lives. Engineers make a difference that positively affects lives every day. It is the profession which seeks to meet today’s challenges and to create tomorrow’s future by practically applying scientific knowledge to solve real-world problems to help people. The links below are great resources to assist you in discovering the world of engineering. Of course, one of the best ways to find information about engineering would be to ask an engineer. Veterans value the convenience of the MES B.S.E. Program. Our quiet engineering space tucked away in the corner of the Redd Classroom Building allows them to structure their school day as if it were a day at the office. They make the most of their time on campus working on homework and group projects to avoid the distractions of home and family life. Our large veteran student population equally enjoys the camaraderie of other veterans in their classes. The involvement of FRC-East in the MES B.S.E. Program is also a natural fit for many veterans. 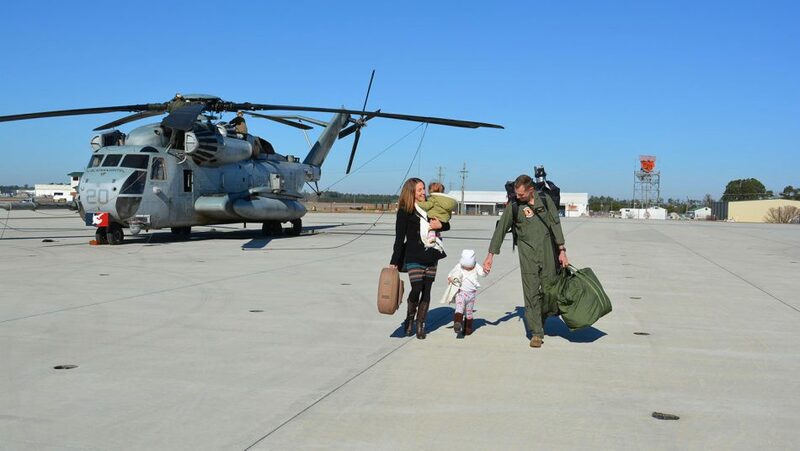 The skills and experience they have acquired from active duty service enrich their learning experience and help them to understand concepts taught in the classroom. Contact Dr. Bill Fortney at wbfortne@ncsu.edu or 252.444.3357 if you’d like the opportunity to talk with one of our veteran students or alumni.